Thread on canvas, 61 x 48 in. 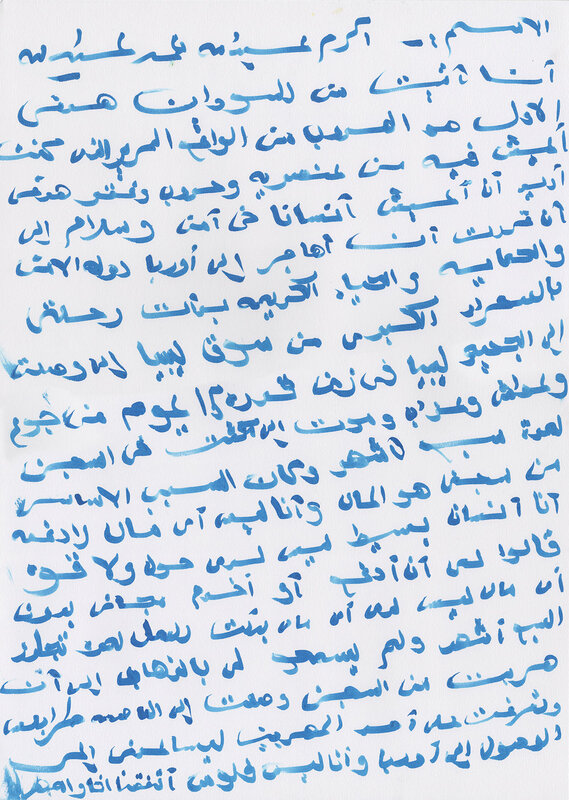 The text comprises snippets of dialogue between Gervais and refugees in Calais, and an excerpt of a story originally written in Pashto by a refugee in Calais. In the audio tracks, Amani reads English translations of stories written by Akram and Mansour in Calais in 2015. 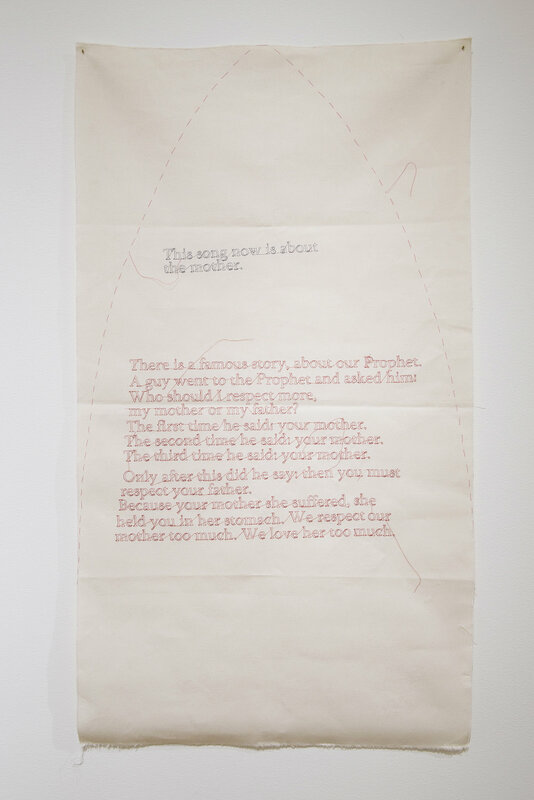 The text remembers songs sung around a campfire in Calais in 2015, and describes the significance of motherhood in Islam.